Out in support of their dynamic, emotionally resonant, and adventurous new third album, Mystic Truth, LA alt rock/post-punk outfit Bad Suns are set to return to Nashville for their first headlining show in a few years tonight, April 10 at Cannery Ballroom with buzzy breakout pop singer Carlie Hanson. A stellar, genre-bending, and compelling live outfit, Bad Suns must be seen live to be truly appreciated, and you can do just that by snagging tickets right here! Read on for more about the show. Not long after first coming together in the Los Angeles area as teenagers (singer Christo Bowman and drummer Miles Morris had been friends since middle school, and met guitarist Ray Libby and bassist Gavin Bennett a few years later), alt rockers Bad Suns got their first big break after dropping a demo off in the mailbox of famed local radio station KROQ, who proceeded to feature the band on their Locals Only show, helping earn early buzz, and, not long after, a record deal with famed indie label Vagrant, ahead of their 2014 debut EP, Transpose. Hailed for their blend of contemporary alt and indie rock and pop with elements of post-punk of the early ’80s, the young group found breakout attention with their debut full-length, Language & Perspective, that same year, landing on the Billboard charts and, soon, on the road with the likes of Halsey, The 1975, and The Neighbourhood, and appearing at festivals like Coachella. Indie darlings with genre-bending appeal and literary, smart accessibility, Bad Suns further honed their sound with introspective 2016 sophomore effort Disappear Here. For their brand new third LP, Mystic Truth, a first for new label home Epitaph, the band tapped producer Dave Sardy (Oasis, The Head And The Heart, The Black Angels), and recorded at the legendary Sunset Sound as well Sardy’s home studio. 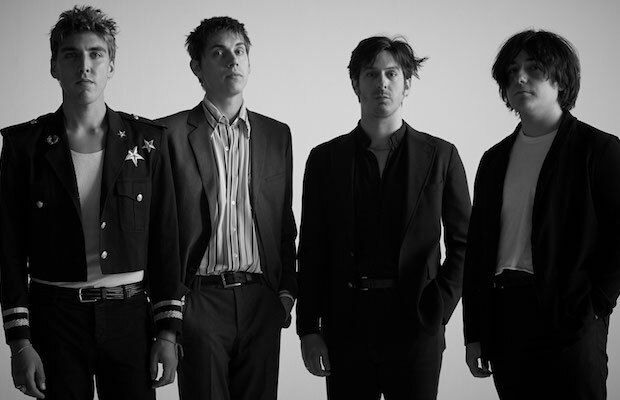 Described as being about “finding the extraordinary in very simple things, even though we’re living in a very dark time right now,” the album doubles down on the band’s fusion of pop accessibility and modern rock influences with classic post-punk edge, resulting in their most emotionally complex, musically resonant, and ambitious album to date, providing Bad Suns with an incredible repertoire of new tunes for their Music City return. Now comfortably into their run and settled into their sound, there’s never been a better time to catch this stellar rising indie act in person! Despite only a handful of singles to her name and less than a year of live show experience under her belt, 18-year-old singer Carlie Hanson is, without a doubt, one of the buzziest names in modern pop. Hailing from Onalaska, Wisconsin, Carlie began writing songs as a pre-teen, and, inspired by Justin Bieber’s path to success, started uploading cover videos to YouTube throughout high school. A short video cover of Zayn Malik’s “Pillowtalk,” which she recorded in hopes of winning concert tickets, caught the eye of Hanson’s local iHeartRadio affiliate, who reposted the clip, grabbing the attention of producers in Toronto and Los Angeles, who invited the teenage singer out to record what would become her first original singles. After wracking up 10s of millions of plays on her first songs throughout 2017 and 2018, and even getting a co-sign from Taylor Swift, who included Hanson’s “Only One” on her Apple Music playlist of favorite songs, Carlie made her live debut in early 2018, hitting the road late last year with Troye Sivan and Kim Petras. After such a monumental year a half, Hanson kicked off 2019 supporting Yungblud on a tour of Europe, and most recently inked a deal with Warner Bros, seemingly primed to follow in the footsteps of other young, alternative, internet savvy modern pop artists. As much as we love Bad Suns, we’d wager that a singer like Carlie Hanson, in the current pop-centric musical climate, is likely to surpass them in recognition before long, so be sure to show up early and see her while she’s still opening up club shows! Bad Suns and Carlie Hanson will perform tonight, April 10 at Cannery Ballroom. The show is all ages, begins at 8 p.m. (doors at 7 p.m.), and tickets are available to purchase for $25.